In July 1972, a man in Marion County told authorities he saw a seven-foot tall creature smelling of Limburger cheese running along a road. No articles about big, smelly creatures roaming Marion County appeared in The Marion Star during July of ’72, however. 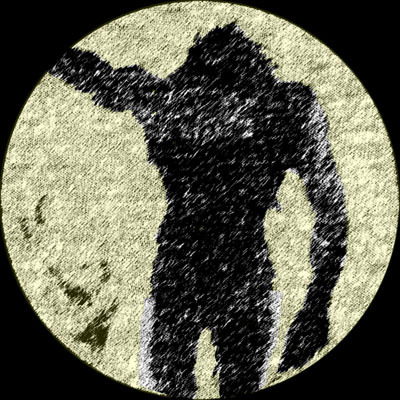 The identity of the man making the report as well as the creature he supposedly saw remain a mystery. The headline from the October 12th, 1978, edition of The Marion Star. Before Perry Weiser died in January of 1978, he assumed he would be joining other family members in the Waldo Village Cemetery where his grandparents had purchased a lot in 1912. However, the Waldo Township Trustees decided, shortly after Mr. Weiser’s death, that there was not sufficient room for him in the family plot, and Mr. Weiser was buried in another part of the cemetery. 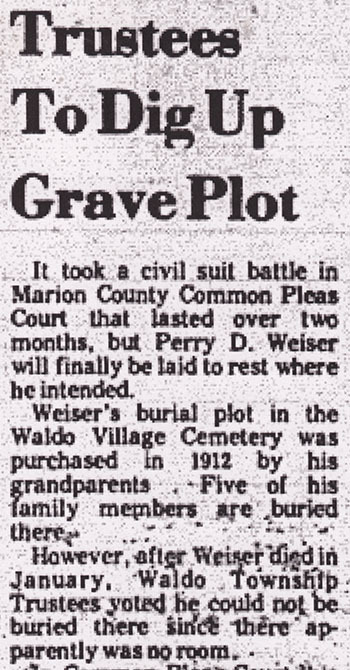 In response, the executor of Weiser’s estate filed a writ of mandamus with the Marion Common Pleas Court asking that Mr. Weiser be disinterred and reburied with the rest of his family. After a two-month legal battle, “the Waldo Township Trustees were ordered to excavate the Weiser family gravesite to see if there was enough room for an extra casket.” Apparently there was enough room since Mr. Weiser now rests, undisturbed, with other family members. Cards bearing the name of Richard A. Scott of 226 South Vine Street, Marion, 0. were, found on the body of a man taken from the East River here yesterday. Dressed in a brown sweater, leather wind-breaker and blue overalls, he was about 35 years old, five feet eight inches tall and weighed 160 pounds. The body found in the East River at New York is not that of Robert A. Scott, 26, of Marion. Young Scott telephoned his father from New York city today. Papers belonging to Scott, were found on the body. Besides the obvious discrepancy about Mr. Scott’s first name, these articles are puzzling in a few other ways. For example, the reason Mr. Scott’s papers were in the possession of a dead man was never explained. It’s also unclear whether the Scott family thought that their boy was dead before he called his father in Marion. In any case, it must have been an interesting conversation when Mr. Scott did finally call home. 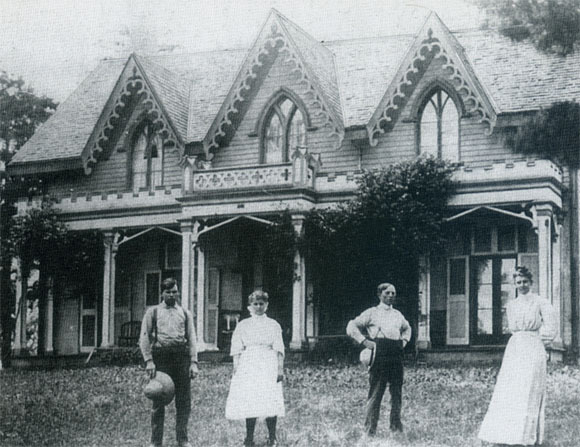 The Land Mark Home just after the turn of the century with members of the Brewer family standing in front of it. Photo courtesy of Ray Kitzel. When this grand house with its spiral stairway burnt to the ground…every stick of wood in the structure was consumed except the wood stacked in the fireplace! Anyone interested in reading the original article about the Brewer Family and the Land Mark Home can download or view it here. Although we have a date for this article, March 2nd, 1975, we don’t have the name of the publication in which is appeared.